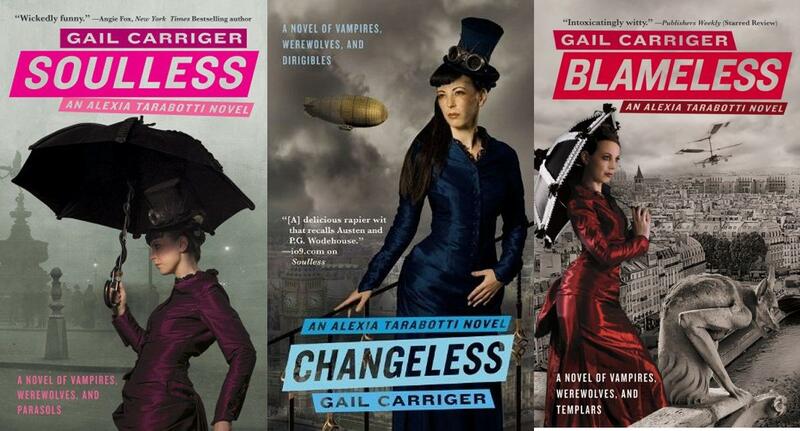 Today we're pleased to welcome fantasy author Gail Carriger to our site. Gail is the author of the Parasol Protectorate series, and book 3, Blameless, will be released on September 1st. Gail, would you start off by giving us a synopsis of the series? The parasol protectorate books feature Alexia Tarabotti, soulless, autocratic Victorian harridan, and her increasingly eccentric group of friends. Alexia is prone to charging about London, then across England, and eventually through Europe on her quest to foil various evil plots. She is assisted, and sometimes hindered, in her endeavors by a band of scruffy werewolf soldiers, a cadre of gay vampires, a cross-dressing female inventor, and a very silly best friend with a predilection for atrocious hats. I've heard the average time from beginning to write to getting published is around five years. How long did it take you? That depends on whether we are taking about this specific series or my career in general. Soulless took me about eight months from idea to first publishing offer. But, before that, I'd been writing other books and struggling to get published for over ten years. A healthy does of insanity mixed with a reckless disregard for my own survival topped with ingrained escapist tendencies. What do you enjoy the most about writing? The least? I love the daily freedom that a career as a writer affords me, but that's also a curse. I have to be pretty self disciplined and force myself not to play online or putter about in the kitchen making tea. As to the actual craft itself, I find it relatively easy to stay on target with two exceptions: the nookie and the humor. I've written humor before so I knew I could, but never for a full-length novel. It's true what they say; it is harder to make people laugh than cry. 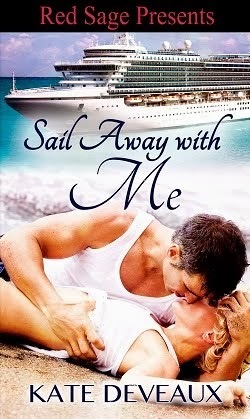 I've never written anything approaching a romance before so that was very challenging too. I kept embarrassing myself. On the flip side is the editing. I absolutely adore editing. You also have a fourth book releasing in April 2011 called Heartless. Do you have any plans to continue the series after that? There will definintely be one more book, Timeless. At that point I intend to leave Alexia behind as my main character. I wouldn't say no to continuing to dabble in this world, though. The Parasol Protectorate may rise again, just with different characters, in different times and places. How much time do you spend doing research for each book? As much as I love the Victorian era my areas of expertise tend to be limited to fashion, manners, food, and the antiquities market. I do a lot of research into the science and technology of the day as well vampire and werewolf lore. It's remarkable what obscure detail one suddenly needs to know as a writer. Most recently, I had to figure out what kind of small gun a gentleman might sport in 1841, and what the political climate was like in Italy in 1875. Even if it doesn't make it into the book, it will irritate me if unwritten background information is flawed. If you asked me to guess, I'd say about half my rough draft writing time is spent researching, so for every two hours I spend writing, another two is spent looking things up. Gail, I'd like to thank you again for taking time out to talk to us today. We wish you the best of luck with your books. 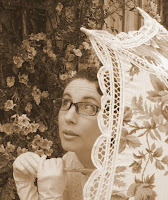 You can visit Gail's website at http://www.gailcarriger.com/. This series sounds like a great read. I already like the best friend with atrocious hats. I've read the books, and they're awesome! It's a mix of romance, historical, paranormal, steampunk, and just of hint of insanity, all rolled into an awesome series. It's definitely different from what I've been reading, and I can't wait for book 4!